Description: This ranch contains a beautiful 4-acre lake full of brookies, Snake River cutthroats, rainbows, and Donaldson Steelheads. Many of the fish are very large, with some approaching five pounds. If you fish the property before July, you can view the owners' famous "ice mountain." 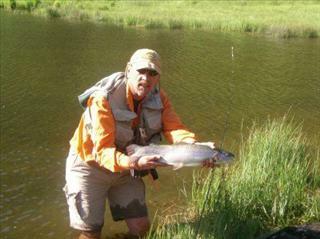 Location: The property is located just west of Silver Plume, less than an hour from Denver.